Insights into The Austrian Oak’s process. When many people hear the word diet their minds automatically shift to the idea of housewives looking to drop a few pounds. For those that are well informed, diet is simply a word that describes the most essential element of creating a physique you can be proud of. Before there were fad diets and the like dominating the fitness community, many bodybuilders followed a fairly simple nutrition plan that didn’t required too much effort to follow. The days of the Golden Era featured some of the most impressive bodybuilders to ever compete in the sport’s short history. 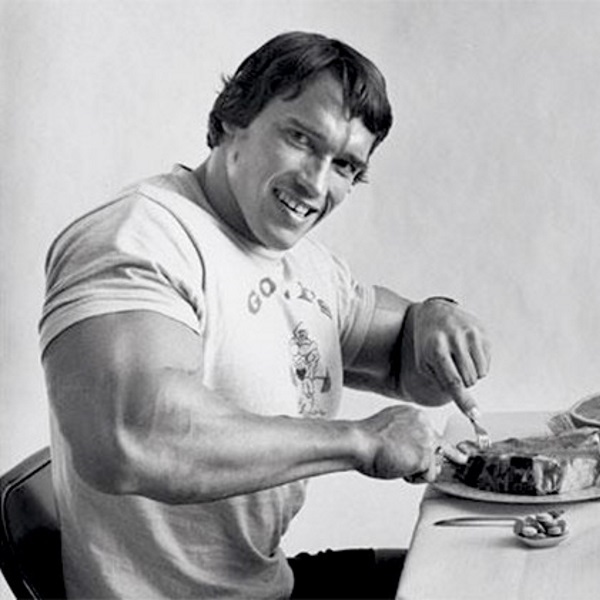 Men like Frank Zane, Sergio Oliva, Franco Columbu, and of course Arnold Schwarzenegger were all staunch competitors and bodybuilding champions that stuck to the basics when it came to following a diet plan that would reap tremendous dividends. So what principals did these champions live by? When it came to consuming carbohydrates, bodybuilders were focused more on eating lean protein and healthy fats to provide them energy. But that didn’t mean they cut carbs completely out of their diet. Instead they focused on eating less than a 100 grams of carbohydrates, enough to provide them energy throughout the day. Usually these carbs were low in sugar and were of the slow burning variety to ensure that they remained lean and avoided holding onto too much water. Following the ideology of a low carb diet, often times breakfast was adorned with foods like eggs, sausage, or lean cut ham for protein and healthy fats. There would often times be a bit of fruit and/or oatmeal as well in order to get a good reserve of carbs for the day, providing energy for the tasks to come. Where these days snacks are less frowned upon in between meals, back in the Golden Era it wasn’t something that was apart of a bodybuilder’s diet. Instead bodybuilders focused on eating whole foods at every meal, all of them consisting of low carbs and a hefty amount of protein all of which would help to build lean muscle. What kind of diet plan do you follow?